If there's one endeavor that entails responsibility, I believe that owning a cat would be it. Becoming a pet owner can be hard work, even though your level of stress will ultimately be lower than someone who doesn't own a pet. As far as owning a cat is concerned, there are a couple of essential points to make note of. Assisi, as well as other authorities, can tell you that these are 3 of the biggest oversights you should make note of. When it comes to medications, it's important to use the ones which are meant for cats and cats alone. Assisi Animal Health, as well as your own veterinarian, will be able to prescribe certain solutions if your pet comes down with something. The worst thing that you can do, as a pet owner, is give your cat a human medication in order to numb the pain. For example, a dose of Advil can prove to be fatal, since this is not the intended use of it. Other methods exist for discomfort, though, PEMF therapy for cats being one of the most unique. Next, there are cat owners who will overlook the importance of their pets' teeth. Dental disease, for those who do not know, is one of the most common reasons why pet owners set up vet appointments. You must be able to brush your cat's teeth on a regular basis, making certain that this action is done gently. If you start to see problems related to the gums, or if teeth wind up missing, that's when you should contact your specialist as soon as possible. Behavioral changes may be overlooked as well, which is another point to highlight. You have to consider that cats may act strangely, depending on illness or whatnot, which means that pet owners have to step in and see what can be done about the situation. Failure to do so can lead to a poorer quality of life for that very creature. It goes without saying that you should contact your vet about this, but make sure that you do so as soon as you observe erratic changes. There's a certain charm that comes with cats. Even though there are some creatures which aren't as affectionate, there's no doubt that they add something special to a home. As a result, you should be the best cat owner you can be, illustrating the best level of care in the long term. Make it a point to look into these topics, keeping them in mind for the long term, and you will be that much more effective when it comes to caring for your cats as well. For further information about what you have examined, please go to Assisi Animal Health.. Also published at Assisi: 3 Missteps Every Cat Owner Should Know. If a cat that appears as though it has walked straight out of the wilderness and into civilization is what you want, then the Bengal cat fills that order. The Bengal cat is a hybrid breed produced by crossing the domestic cat with an Asian Leopard cat. The desire of such cross breeding is to produce a cat that looks wild but has the temperament of a domestic cat. The most distinct feature of the Bengal cat is its extremely soft, thick, and uniquely patterned coat. There are two distinct patterns recognized within the Bengal cat breed. Those are spotted and marbleized. 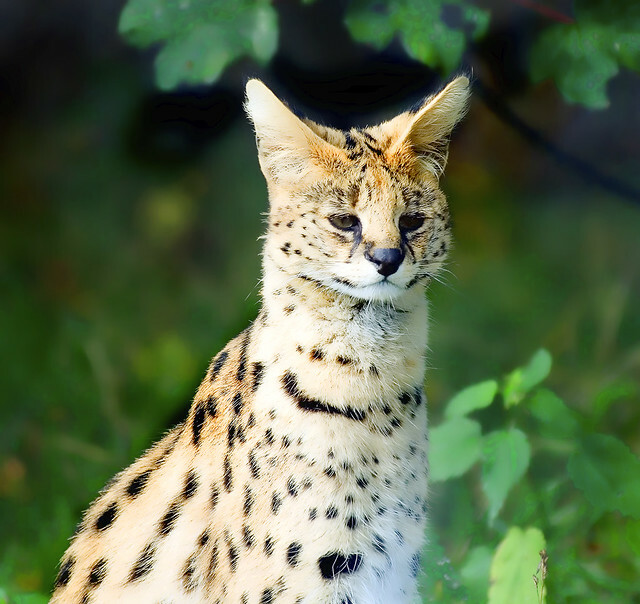 The spotted coat is closest to its leopard ancestor, featuring leopard spots in varying shades of brown, rust, orange, sand, black, and gray. The marbleized coat is produced from the mixing of the Asian Leopard cat with a domestic tabby to produce splotches that look more like marble. In either case, the Bengal cat has a look that is both strikingly beautiful and wild. Other than the coat, another distinguishing feature that sets it apart from other cats is its muscular body, more prominent in males than females. Bengal cats are very athletic, sleek, and muscular. The Bengal cat loves to be part of the family. They love to interact and play. This is not to say they will not seek out a soft chair or lap in which to lie for a nap, but for the majority of the day they are very active cats. Being a high energy cat, they are not for someone looking for a docile animal to lounge around the house and look pretty. The exotic heritage of this cat makes it unique both in look and personality. Even though it takes five generations of Bengal-to-Bengal breeding to produce a line recognized as a Bengal cat, these felines have a wild ancestral heritage and some of those instincts can still be seen in late generations through their extreme intelligence, high energy, and innate curiosity. This is a cat that loves to play and will demand interaction with their owners but in a way that is most pleasant. Some Bengals can even be trained to walk on a leash and play fetch. It's also reported by some owners that their Bengals love water and will shower with them. Due to the wild ancestral line of the Bengal, careful selective breeding practices are implemented by high quality Bengal cat breeders to ensure that the docile temperament of the domesticated ancestors is dominant. Progressive Retinal Atrophy - This problem eventually causes blindness. There is no way to screen for this problem, so there is no way for a breeder to tell if a kitten will have problems later on. Cataracts - Thickening and clouding of the eye lens, causing loss of vision over a period of time and eventual blindness. 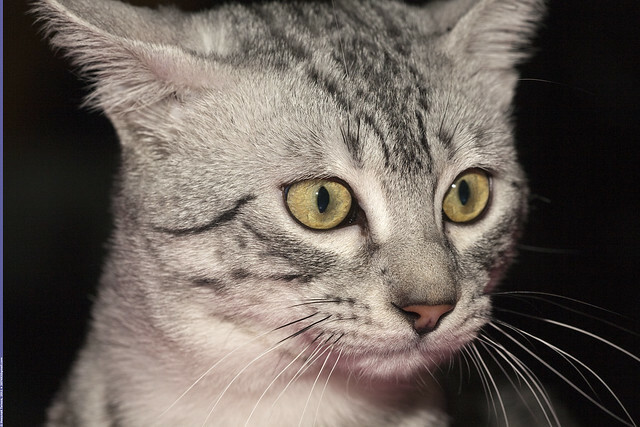 This problem can be reversed since cataract surgery is available for cats. Cardiomyopathy - This covers both thickening of the heart muscles and thinning of the heart muscles, both causing very poor circulation. Cats stricken with this condition can appear healthy for a very long time and then suddenly appear very ill. Inflammatory Bowel Disease - This is a condition in which an infection is present within the digestive tract. The symptoms of this condition are typically vomiting and diarrhea. Any Bengal showing symptoms should be taken to the veterinarian immediately to avoid dehydration. Food Poisoning - Bengals have especially sensitive stomachs. For this reason, their diets should be carefully monitored and table scraps should never be on the menu. 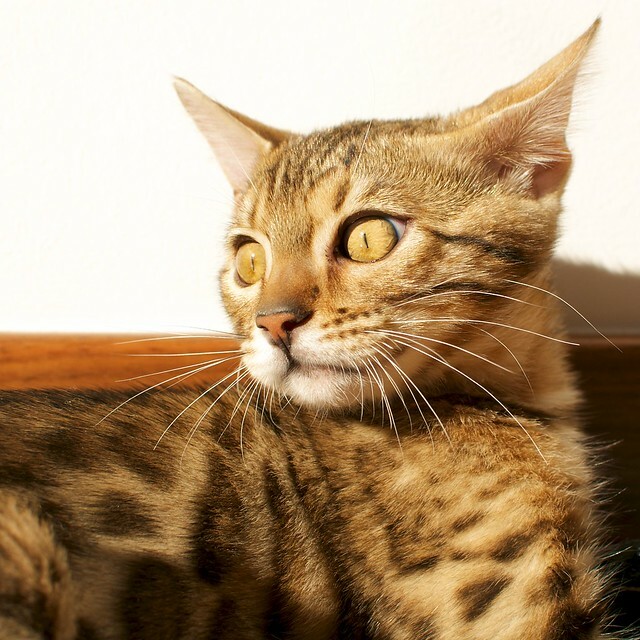 One medical problem you'll never have to worry about with the Bengal cat and possibly their most fascinating feature is they possess an apparent immunity to feline leukemia. This is an inherited trait that the Bengal cat received from its ancestor the Asian Leopard cat. Bengal cats are one of the most interesting breeds in existence today. From their wild markings to their playful and loving demeanor, Bengal's are an absolute joy to have around the house, especially in a household with children. If a cat who acts more like a family member is desired, the Bengal cat is a great choice. Velita Livingston is the founder of the Cat Lover's Diary blob which provides rich content with great advice on cat care tips and cat training, teaching pet owners how to protect, pamper and live peacefully with their pets. Visit the http://www.catloversdiary.com to watch the Cat Lover's Diary Movie, it contains breathtaking images and heartwarming quotes... It will uplift and inspire you! 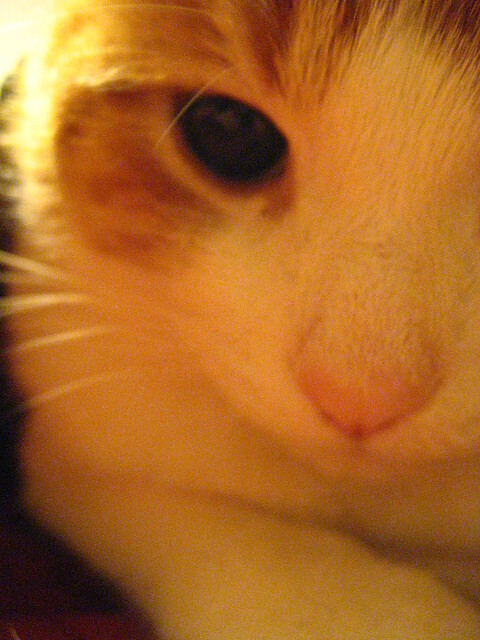 You can also visit the Cat Lover's Diary on Facebook and Twitter.